Barmera Uniting Church welcomes you to join us for worship. Our friendly congregation numbers about 40, mainly people aged 50+ with a small number of young families and primary-age children. Services are followed by morning tea in the church hall and visitors are very welcome to enjoy that opportunity to meet the locals. Normally there is a shared lunch following the service on the second Sunday of the month. On Easter Day we join with other local congregations for a dawn service on the shore of Lake Bonney. In 2018 more than 100 people shared in the dawn service at the amphitheatre near the football club. Visitors staying at the nearby Barmera Caravan Park (or anywhere else in the Riverland) are very welcome to join us. 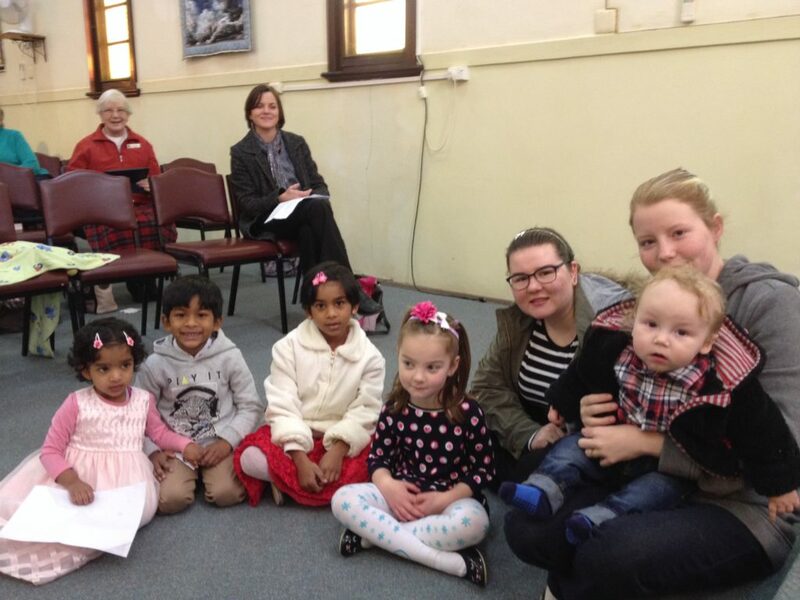 See our Facebook page for more of what’s happening at Barmera Uniting Church. The church welcomes the community to the church hall for a cuppa and bbq tea on the day of the Barmera Christmas pageant. It’s an ideal spot to meet with friends while waiting for the fireworks (Barmera has fabulous fireworks!) at the town oval opposite the church. This year the church hall will be open for bbq tea from 5pm – 9.30pm on Friday 14 December. This is the day of the Barmera Christmas Pageant (Vintage cars 6.15pm, Pageant 6.30pm). Fireworks on the town oval at 9pm. So call in for a coffee, or bbq meal, or just come to listen to Christmas carols played by Riverland Brass. Thursday mornings during school holidays, 10am-11.30am, in the church hall for all children aged 0-7 for a program of stories, music, craft activities and food! Children need to be accompanied by an adult carer (who can enjoy a coffee and chat while their children are busy). During the 2019 autumn holidays, Holiday Adventures dates are yet to be confirmed. Each year the Junior Primary classes from schools in nearby towns are invited to the church hall to hear the Easter and Christmas stories. This happens during term time in the weeks prior to Easter and Christmas by negotiation with each of the schools. The students share in the drama of the stories and participate in music, a craft activity, and are given a small gift to take home. A variety of activities designed for men young and old, whether involved with a church or not. These are scheduled every few months, often on Sunday afternoons. Previous activities have included river cruises, a visit to the Murray cod farm in Renmark, yabbying, 10-pin bowling and a visit to a working model of the Humphrey Pump. They’re a great way to meet new friends and share a relaxed time with old friends. The guys visited Wayne Piltz’s emu farm near Moorook. About 20 blokes enjoyed the tour, finding emu eggs, and learning all about the business of farming emus. Recently they toured the Twenty Third Street Distillery in Renmark to check out what happens there (and to sample some of the product). For more details of future activities phone Ron on 85882460. The Barmera congregation belongs to the Community Outreach Mission Network (COMN), a group of about 30 Uniting Church congregations in South Australia which focus on engaging with and supporting their local communities. Quarterly COMN Gatherings provide opportunities to be inspired with stories of how congregations are creatively engaging with their communities. The COMN Gatherings are recorded and can be viewed online here.